Leprosy is a scary disease. Most people have a serious aversion to losing their sense of touch and growing numb and unable to feel anothers touch, or even sensing hot and cold temperatures. They have an aversion to losing fingers, toes, and noses. They have an aversion to losing their eyesight, their ability to walk or to pick up a penny, and even their ability to have a sexual relationship. Hopefully, you dont have the physical disease of Leprosy. Did you know, though, that you might have Spiritual Leprosy? Yes, your lifestyle may be creating numbness to the activities that are unacceptable to family, to friends, and to God. You are living a life that has become self-serving, addictive, and destructive to the extent that those in your life want nothing more to do with you. Youre becoming immobile and non-functional in life because of a slavery to sin that has overtaken you. You are dying and may not even realize it yet. At one point in our lives, we are all leprous. The Ten Lepers will help you understand what spiritual Leprosy is and how to cure it. 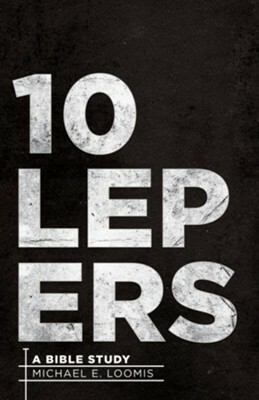 I'm the author/artist and I want to review 10 Lepers: A Bible Study - eBook.